A curfew that was imposed on the Kyaukpyu and Sittwe townships in Rakhine nearly two years ago has been extended for two additional months, residents told one publication recently. U Tun Tun Naing of the Kyaukpyu Township Development Committee said in press reports that the situation in Kyaukpyu has been calm for a long time and that the decision to extend the curfew is “unnecessary”. 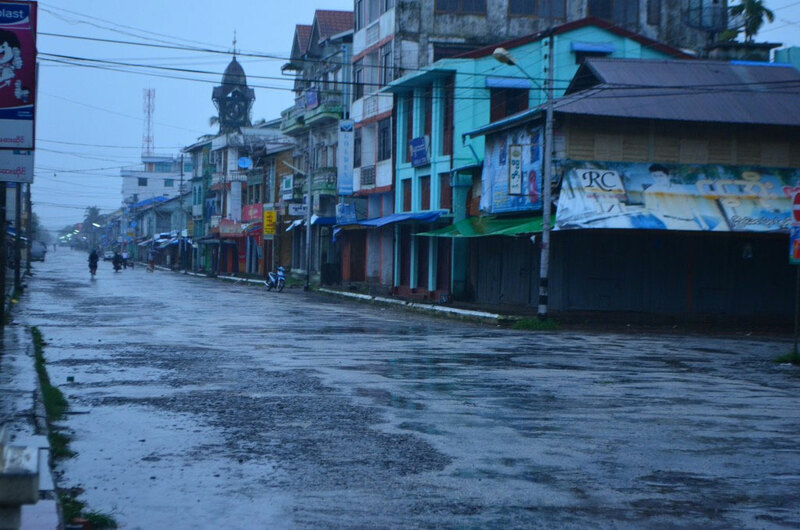 Sittwe is the state capital, and residents say they were told of the extension of the 6 pm to 6 am curfew by the township administrator. The curfew was put in place in October 2012 after a second communal violence outbreak. But Minister U Maung Maung Ohn, Rakhine Chief Minister, told a township residents meeting on July 3 that he planned to lift the curfew. A similar curfew on the Kyauktaw township was lifted August 8. The decision to continue the curfew was not made because of instability, government spokesperson U Win Myaing told one publication. He simply said that leaders were “unable” to put an end to the curfew and did not elaborate on any reasoning behind the decision.